Where I started: Two bulbs. The lower bulb illuminated the headlight, the upper bulb the tail lights. I took both out and installed LEDs instead. The photo below shows the arrangement for the headlights. A larger SMD LED in warm-white would have been cheaper and easier, but I didn't have one with the correct form factor and color temperature in my stash, so I used this pico LED instead and mounted it inside a styrene tube. At least it comes with the cables already attached. I'm still considering mounting it in the shell with the tail light LEDs. 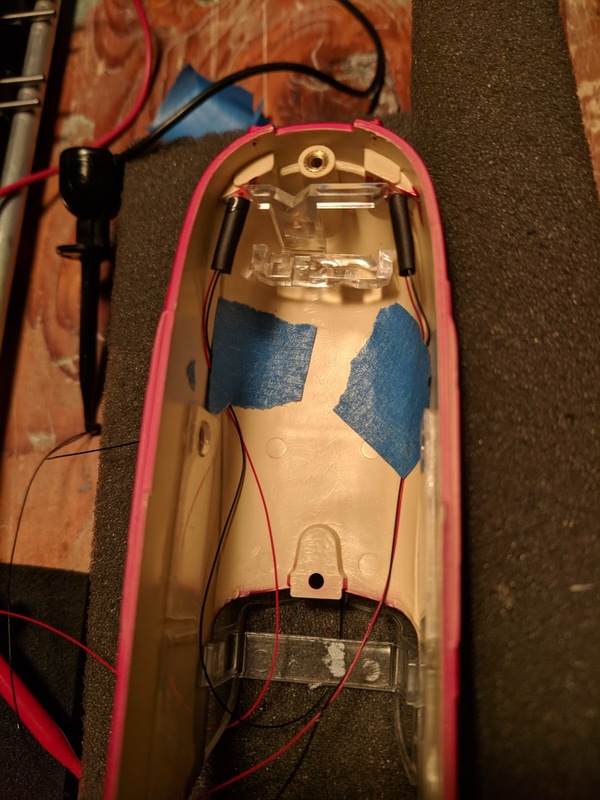 The tail lights are illuminated individually with one pico LED glued on the tail light optics each and covered with shrink tube to minimize red light seepage into the head lights. I didn't dare shrinking the tube inside the plastic shell, so I just glued them in place with canopy glue. These LEDs are very bright. 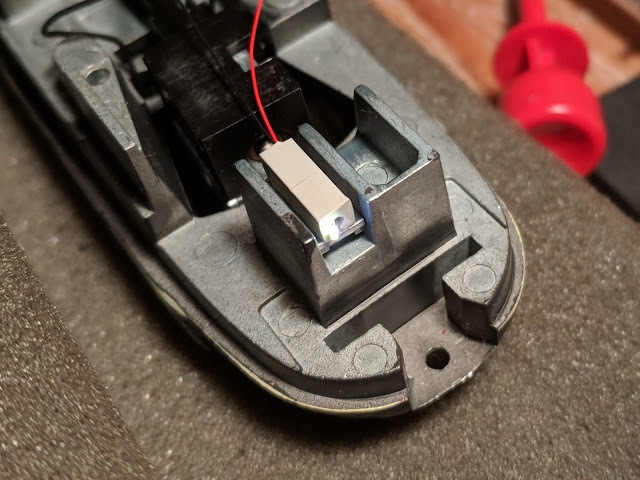 Once connected to the decoder, I will need to experiment with finding the right resistor value to get the brightness dimmed low enough. 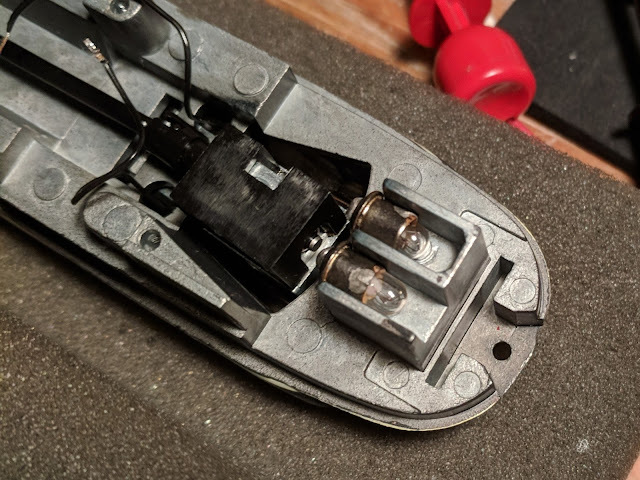 I cut off the arms of the plastic light distribution thingy that lead to the tail lights, so that it still fits into the shell with the new tail light LEDs installed.